When you think of insurance billing, you probably think of some nice sweet receptionist type person in your doctor’s office taking your insurance card before your appointment and charging your co-pay. Technically, this is a type of insurance billing – just not what I am talking about in this blog. There are huge differences when you think medical billing vs. behavioral health billing. This billing is pretty simplified and streamlined. However, with mental health/substance abuse facilities, they may bill for therapy, psychological testing along with medical management for the patient – most of the time in “bundled” services and codes for levels of care such as RTC, PHP, and IOP. What does that include and mean for the patient and mental health professionals? I’ll tell you. and may even have a maximum on treatments they’ll even pay for in all. This, in turn, makes it difficult for mental health professionals to come up with a master plan to treat the patient and also make sure they get reimbursed for services rendered. Another thing is, It is important for behavioral health providers to know that many insurance carriers and state Medicaid programs will outsource their mental health claims to a third party. This means they use a contracted company to process, manage, and pay claims. It is important for an inpatient mental health or addiction program to be aware of this when submitting claims. If this is missed, your claims can be sent to the wrong place — and will just be denied and then obviously not paid in a timely manner. All you have to do is ask who processes the claims when you call provider services. You can do this when you are actually checking benefits for a patient or anytime before you actually submit claims. This process of billing for behavioral health can get very complicated. One reason is that even when you are calling into the insurance companies (instead of using a web portal), either the customer service representative is not fully trained, or they are unable to give you the correct information and you wind up being transferred to several different departments and representatives. Furthermore, a lot of these call centers are overseas and the connection is not always the best – making the conversation very difficult to understand. Often times there is this weird volume issue where it sounds like the rep is whispering. One way to overcome these issues is to ask for an “onshore representative” or even request speaking with a supervisor to get an honest and helpful customer service experience. I’ve found many times, some representatives will try and distract from giving you the right information to move forward in the claims process, and keep you in limbo or going in circles. It is almost like perhaps they are trained to do so in order to slow the payment for the claim. I really don’t know exactly what the issue is when these situations arise, but I do have some ways to get through those walls of confusion. It gets frustrating and always is a good idea to have someone on your side that knows how and what to do in those situations. As simple as it sounds, always and I repeat..ALWAYS getting a reference number and name of the representatives you speak with, is one of the smartest pieces of information you can get for each and every interaction when calling on claims. Documentation..rules the nation is what I say! Imagine being on the phone for over hours just for one difficult claim, and you finally speak to someone who makes sense, and you hang up thinking everything ok, just to find out a couple days later that nothing was done, and they have no record of what was discussed. Talk about heartbreaking. So do yourself and everyone else a favor, and just make sure to get that all so important reference number. Trust me, you’ll thank yourself later. Heaven forbid you’ll have to go through the “Claims Chamber Torture”, and all goes well, it should only take at least 30 days from the when they first receive the claim. In some cases, they can move faster with a quicker turnaround time if everything goes smoothly. But as a general rule, you can expect it to be around 30 days. For most in-network mental health facilities, they are contracted with insurance companies and cannot bill their patients for any balance after reimbursement is done. This is what is called “balance billing”. They have to accept that rate given and write off the remaining balance. As far as out of network facilities, you can accept the reimbursement and bill the patient whatever balance may be outstanding. There are so many factors that must be accounted for when billing for mental health services. If you are running into issue after issue when attempting to get reimbursement, you aren’t alone. There are a number of third-party insurance billing companies who are experts at this and don’t cost you all that much. 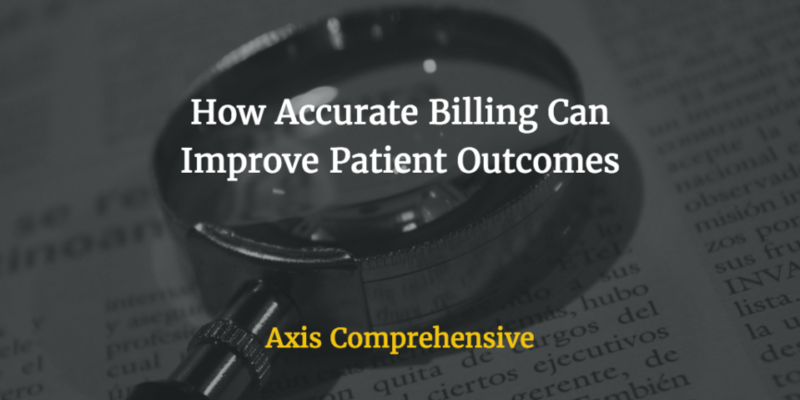 If you haven’t considered outsourcing your insurance billing processes, maybe it’s time to do so now. With the many options of outsourcing for mental health billing, it is very important to team up with a company that knows what and how things are done when billing. Reaching out to an outsourcing company and getting an assessment is the first step in building a strong relationship with your practice. In the long run, you’ll find yourself giving all of your focus on your patients where it really matters.